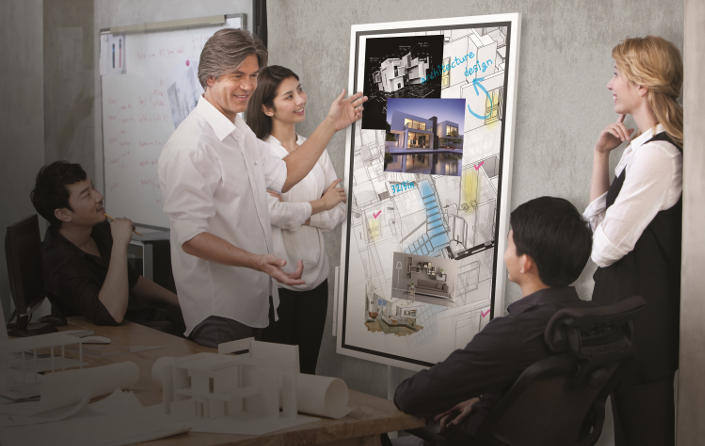 Samsung Electronics will offer CES 2018 attendees a first look into its vision for a “Workplace of the Future” with the unveiling of its new Samsung Flip digital flip chart display. 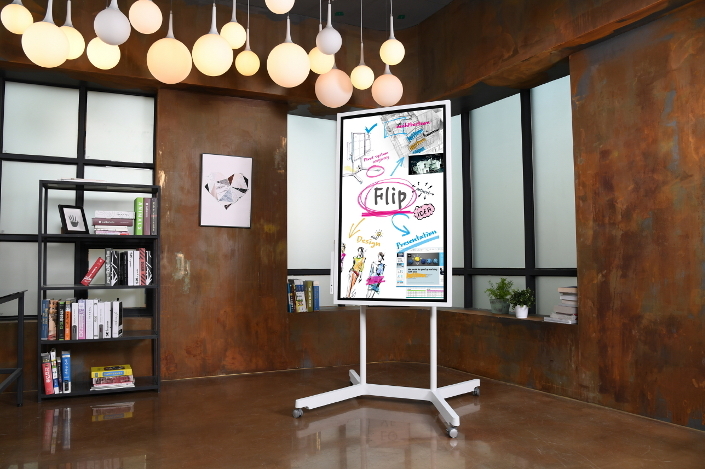 Introduced at the company’s First Look event, the Samsung Flip WM55H promotes more collaborative digital engagement by alleviating the most prominent challenges businesses face when organizing, facilitating and recapping meetings. 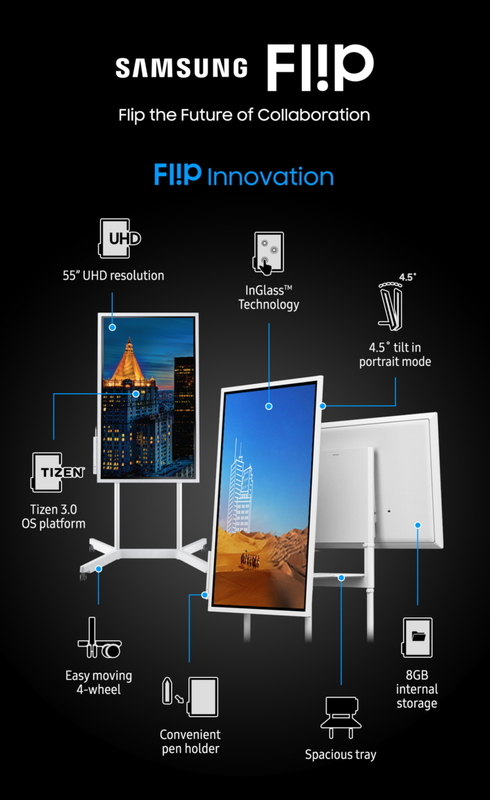 For a closer look at the Samsung Flip, visit Samsung’s CES booth #15006, on Level 1 of the Central Hall in the Las Vegas Convention Center from January 9-12, 2018. To learn more about the Samsung Flip display and access related Samsung Newsroom articles, photos and videos, visit news.samsung.com.